This has been another full and busy week. 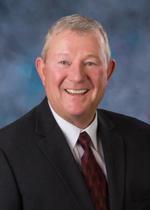 One of the highlights for me was to carry the legislation that confirmed Glen Gier as a member of the State Soil and Water Conservation Board. Glen is from the Magic Valley. 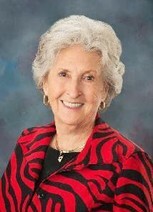 The Idaho Wine Commission gave a presentation led by Moya Dolby, Executive Director. Their presentation went over their finances for the year as well as highlighting some key programs in different parts of the commission and projects the commission has. There was some discussion about their presentation. The USDA Farm Service Agency gave a presentation too. Mark Samson, State Executive Director gave an update over the agency including their finances, projects, problems, programs and an outlook for the future. I presented S1290: Relating to Teachers: College/ Career Advisers to the Education Committee. by Kevin Richert - January 6, 2016 - Click Here for the story. There was also a presentation by Ron Pisaneschi, General Manager at Idaho Public Television (IPT) giving the committee an update about IPT and what has happened this past year and what they are planning to do this coming year. You can access this information by clicking here. I did lose my front license plate bill but will be carrying a modification of last year’s civics legislation as well as modification of carrier advisors. 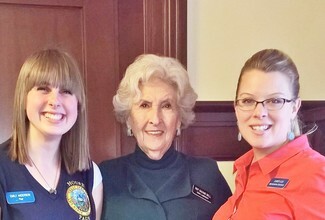 We said good bye to our house pages who have served the first half of this legislative session. The two beautiful ladies with me are Emily and Christi both are my right and left hands in the office. Could not do without their assistance and friendship. 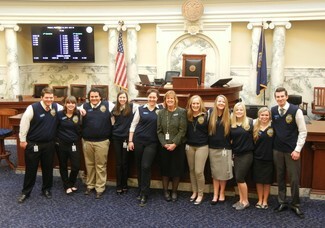 The Idaho Cattlemen visiting the Capitol this week. 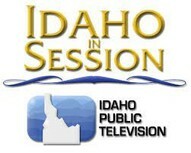 We finished six weeks of budget hearings by listening to the requests of our Idaho State Police. The details of the presentation told the need for more troopers to patrol our roads and cars with less mileage for those who drive all day and part of the night. Facts are fine and I need them to make the spending decision, however, more importantly is a sugar beet I met. On the way to Boise for a meeting last December a frozen ten pound sugar beet flew off of a transport in front of me and through my sun roof, covering the front seat with glass and me with a feeling of sheer terror. My first instinct was to call the State Police, not to arrest the beet but to get the help I needed. And in a very short time, I had all the help necessary to continue my trip. This is what we can expect of the police who serve in any capacity in our state. Like all budgets, all of the needs will not be met in any year but I want you to know that there is great value to our safety and peace in this state by those men in blue. 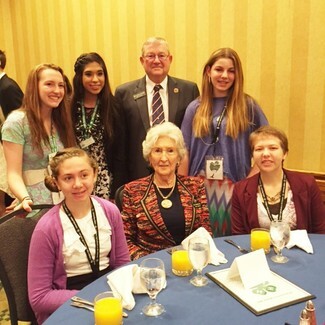 A very nice way to start this week was the annual trip to Boise from those wonderful 4-H girls and boys and their leaders. 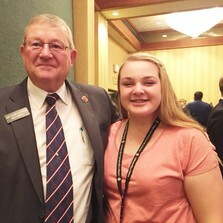 The Know your Government Conference offers a way for tomorrow’s leaders to have a taste of what they can expect as they take the reins of leadership in the state. 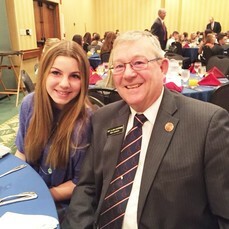 Over 5,000 youth have attended the conference since 1987 and many I have met from Jerome have returned to be pages in the Statehouse. One of the more touching moments in our body was the presentation and passage of HCR29 to honor the 130th Anniversary of the Statue of Liberty. Rep Hy Kloc shared the story of his parents, Polish refugees who came to America thru Ellis Island after spending time in a displaced persons camp in Europe at the end of WWII. Rep Kloc included a picture and a heart touching story that gave much new meaning to the Statue of Liberty. The committee work is beginning to show up for floor debate so the days we spend in session may start to lengthen. My budget bills will take about five days to produce after we vote and that will begin next week. The schedule still looks good for a late March end to this session. Of course as we all remember, there can be bumps in the road! 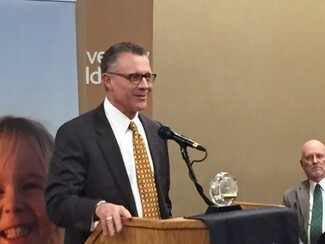 Attended a reception honoring Rich Garber's 15 years at U of I and celebrating his new position as a spokesman for the Idaho Grain Producers. 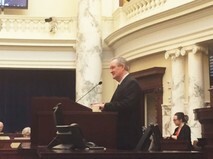 Crapo speaking to the Idaho House of Representatives. I met with Magic Valley School Superintendents and school board members while they were in town for their association meetings. I met with representatives of AARP at their new office in the CW Moore Building in Boise. 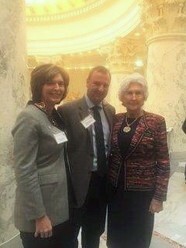 I had a meeting with the Idaho Trucking Assn. and discussed SB 1229 which passed out of the House Transportation Committee on Tuesday. 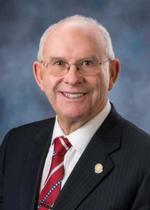 SB 1229 provides legal authority for the state of Idaho to allow vehicle combinations with a gross vehicle weight of 129,000 pounds or less on Idaho’s interstate highway system. These previously were allowed only on designated state routes. The House passed SCR 132 which stated findings of the legislature and recognizing Idaho peace officers for their service to the state. This was a salute to the men and women who do the difficult, dangerous and often thankless work of safeguarding our communities. I co-sponsored HCR 32 that recognized Pulse crops such as lentils, beans, peas and chickpeas as a vital source of plant-based proteins and amino acids for people around the globe and should be eaten as part of a healthy diet to address obesity, as well as to prevent and help manage chronic diseases such as diabetes, coronary conditions and cancer. This joint memorial recognized the tireless work of the Idaho Pea & Lentil Commission and the Idaho Bean Commission in promoting these important crops to the world. I sponsored HB 499 dealing with the Food Safety Moderation Act (FSMA), a rewrite of the U.S. Food Code being implemented by FDA. It is expected that as FSMA rules are enacted that FDA will rely on the states to implement those rules. Currently, in the absence of other government oversight, food safety activities fall primarily under the jurisdiction of the Idaho Department of Health and Welfare (IDHW). However, for food processors the primary oversight for food safety and inspections falls within the jurisdiction of the federal Food and Drug Administration (FDA), under the authority of the Food Safety and Modernization Act (FSMA). As FSMA implementation proceeds, there is an expectation that the FDA will rely more heavily on the states with respect to food safety inspections. This legislation establishes the Idaho State Department of Agriculture (ISDA) as the delegated state authority for food regulation of any non-retail activities subject to FSMA. 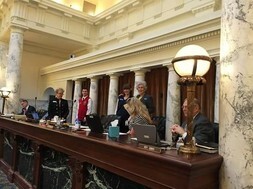 The bill also allows for a process to take place at a later date that would transition the food safety oversight and inspections for food processors from IDHW over to ISDA. I’m carrying and sponsoring HB 473 & 356 which are bills dealing with military advocacy issues. It is a pleasure serving the Magic Valley! Our constituents have asked about electronic tax filing. Click on the link below for information on this process. Free File is made possible through a public-private partnership between the IRS and the Free File Alliance, a non-profit coalition of leading tax software companies. To learn more about the program, visit www.freefilealliance.org or www.IRS.gov/freefile. More than 46 million returns have been filed through the Free File program since it began in 2003. 70% of American taxpayers (about 100 million people) are eligible for Free File. 98% of users would recommend the program to others (2009 IRS survey).